I love autumn! I can’t wait to wear layers and create new volumes and proportions. It is the season to play with a look. When I think of this time of year, the first thing that comes to mind is the smell of toasty delectable hot chocolate with marshmallows of course. And hints of Christmas in the shop windows. I know it seems way too early for that holiday. But it is never too late to find comfort and joy. It is also the season for revamping your current wardrobe. You don’t have to throw away money to do this though. Or buy something because it looks cool. I always feel like the simplest changes can make the world of a difference. Fashion is all about having a different perspective. If you happen to see something that catches your eye you can rock long term than you have a real gem on your hands. But what does this besides leather? Well, we have that covered so what is next? Jeans of course! Let’s be honest here, jeans have been around for decades and they still rain supreme as the most iconic staple to own in your wardrobe. And the versatility with them is so endless. You can dress them up for a night out. Then turn around and wear them for a casual day out looking around at clothes. Getting the right pair can be the best feeling in the world. Not only are they fabulous, but you can feel like you have a real evergreen piece on your hands and that’s defiantly a good feeling. The best skinny jeans are the ones that make you feel like the best version of yourself. They are the ones that don’t sag at the bottom, bag at the knee or need personal attention to keep pulling them up. In fact, they’re the jeans that sculpt and tone without making you look like a mess. The most incredible jeans are ones you can wear all the time and feel confident while wearing them. Instead of sticking to the same old pair you have been wearing constantly. Why not get tempted into something new? Hey, it is September, right? Makes sense to try something different. The key to finding the right pairing is all about the details. No, I am not suggesting getting jeans with sparkles on them. That style in general is for children and no one wants to wear a bedazzled pair of jeans. You have got to be kidding me. When it comes to jeans, classic is always a good idea. Choose jeans that hit your figure right. Style tip, try 90s styled that are high-wasted and hug your natural curves. This isn’t always an easy task. So, to help with the stress of finding the perfect jeans. I have rounded up 4 classic styles of iconic jeans that you can wear through autumn to early new year. Levis Mile High do exactly what the name says. They make your legs look a mile long. They come in a variety of colours, styles, and are one of my all-time favourite styles. 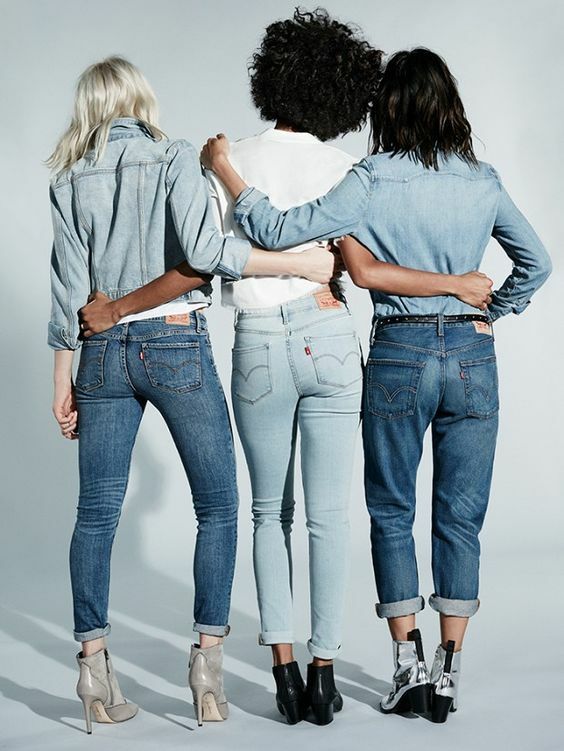 Levis 501 Original Jeans are the original classic jean design. Retro inspired by the iconic jean. Layered in more of a relaxed look. These will be your go to jeans to wear always. 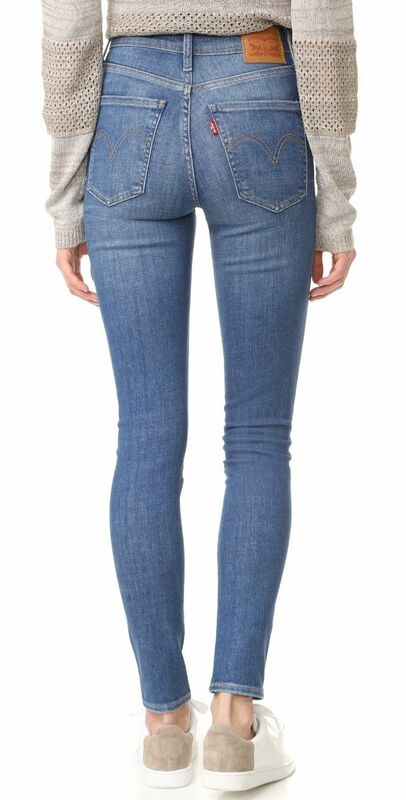 Levis 720 High-Rise Skinny Jeans these beauties are beautiful. Show us your leg! Ankle jeans are perfect to showcase your incredible shoes you are wearing. Plus, they look great with ankle boots. Levis 711 Torn Skinny Jeans have that style you got to have. Let your inner edge and rock star free to go across centre stage. What style of jean is your favourite?